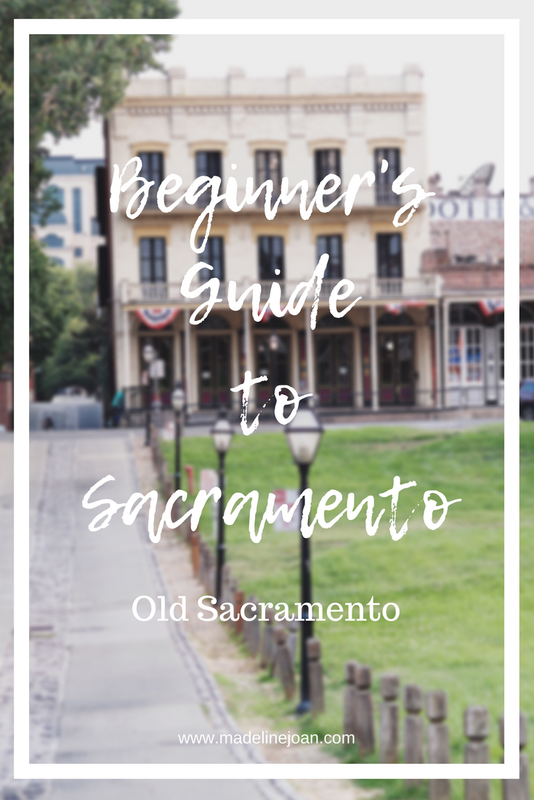 It's time for another #beginnersguidetosac blog post! Today we are exploring Old Sacramento! And what a perfect time to feature Old Sac on the blog since they just launched their new brand YESTERDAY! Old Sacramento is one of my favorite things about Sacramento! Take a trip back in time while exploring 28 acres of the historic waterfront park! Old Sac has everything from museums to great places to eat and shop! You can also find things to do like FREE Waterfront Yoga and themed Bar Crawls! Find the walkway that leads straight to downtown! In just minutes you'll be right in the middle of DOCO by the Golden 1 Arena! I love the vibe when you're in Old Sacramento. It's the perfect place to enjoy a relaxing afternoon.. whether you're wanting to look through shops or enjoy a nice, cold beer during happy hour! One of my favorite shops in Old Sacramento is the amazing costume shop, Evangeline's! Every costume you can possibly think of and perfect for all of your Halloween needs!! If you're in the area for the day or even for the weekend, Old Sacramento is a must see! Experience the history, enjoy the atmosphere and views of the Tower Bridge while walking along the water front! And don't forget to snap a photo with an Old Sacramento celeb... Saloon Sam!